2014 new 3rd generation MPPT solar controller on sale now! Welcome to our online store. You can choose anything you like from us. And for discount, just leave a message or send e-mail to us. We will reply you within 24 hours. Thank you. 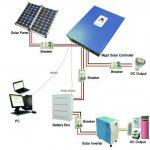 Your Position: > Knowledge >> solar controller >>> 2014 new 3rd generation MPPT solar controller on sale now! 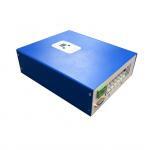 Cheer solar 2014 new 3rd generation series MPPT solar controller 15 ~ 40A, and now the series has listed.